This is what weekends are made of. I’ve been on a cultural excursion all weekend! I’ll be back later to talk about them all, but here’s a taste. It’s National Black Arts Festival week, and I took part of some awesome offerings. Friday, I attended the screening of Soundtrack of a Revolution, which is a documentary that highlights how music played such an important role in the Civil Rights Movement. Here’s a trailer. After that, I rushed over to the Symphony Hall to see the To Curtis with Love tribute concert for Curtis Mayfield. My favorite Curtis Mayfield song, “Makings of You” was performed by Dionne Farris. My favorite undergroundish artists, Joi and Van Hunt, were there, along with Frank McComb, the Impressions, and Eddie Levert. It was a great time. Yesterday, I went to see The Sorcerer’s Apprentice, which I really enjoyed. Then I went back to the Rialto to view 41st and Central: The Untold Story of the L.A. Black Panthers. Man, it was really a wonderful, captivating documentary. I have always admired certain aspects of the Black Panther Party for Self-Defense, and I’ve looked up to some of its leaders, but I never even knew about Bunchy Carter, who was a really impressive man. The documentary took us from the beginnings of the Southern Cali chapter of the Black Panthers to the disbanding of it. Here’s the trailer. 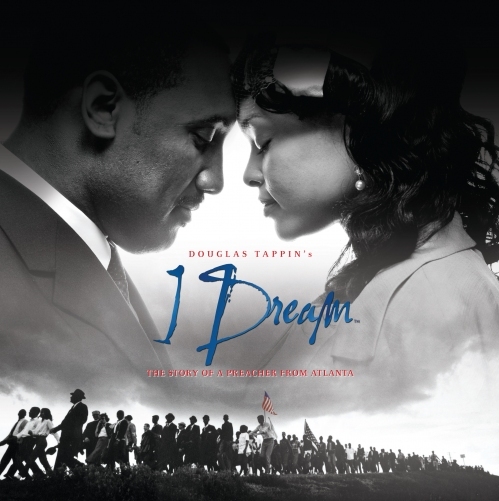 Today (and on Thursday as well), I am volunteering for I Dream, a musical production about the life and works of Dr. Martin Luther King, Jr.
As the weekend comes to a close, I appreciate all the mind-expanding, thought-provoking activities I have access to. Didn’t I just say the other day how awesome my life is? Happy Sunday, people.